Very excited! I am taking Gregory Kontos up on his offer to do translations. I have about 10 letters that I've been holding on to - I am the family pack rat after all. 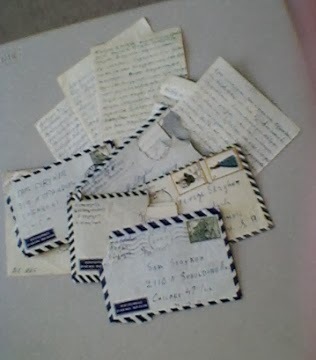 These letters are from the 1950s and 1960s, sent to my grandparents and mother from Greece. I don't think I will get any big surprises, but you never know. Mostly I am looking forward to some additional names and a feel for what was going on in their lives at the time. Can't wait - thanks Gregory. I will be scanning copies this afternoon.